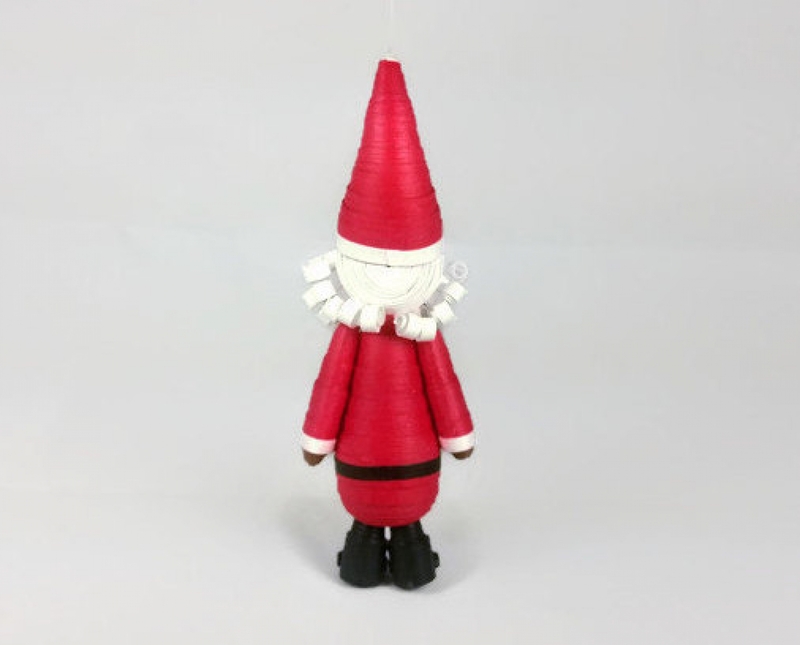 This adorable paper quilled Santa Christmas ornament is made entirely from quilling paper strips. 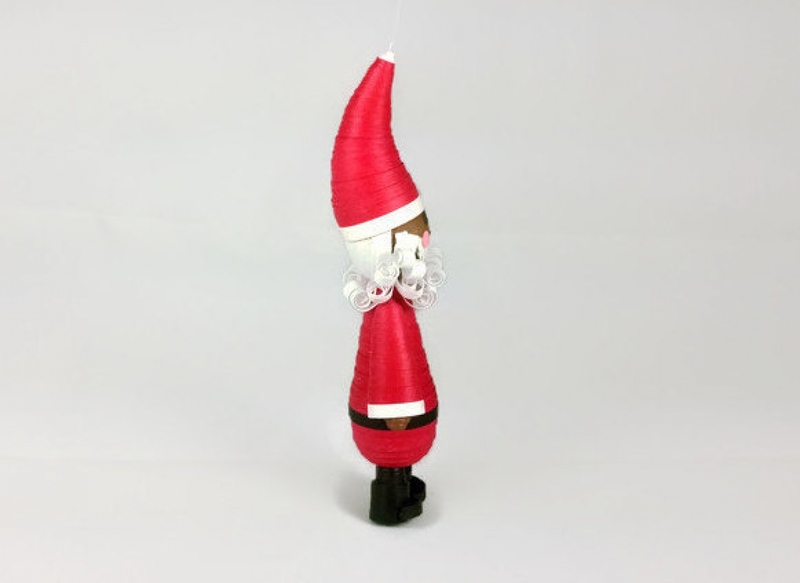 He hangs from an invisible string and, because he is made of paper, he will not make your tree branches droopy! 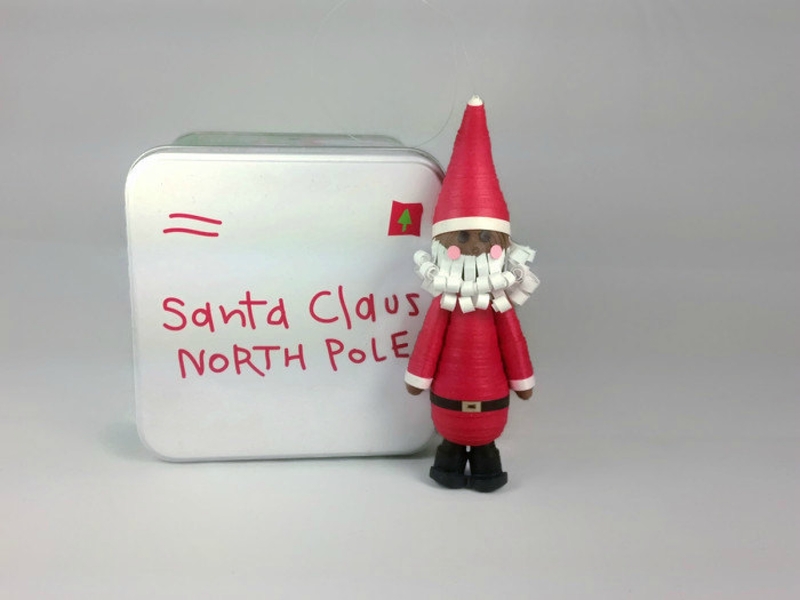 Santa is approximately four inches in height, he has a plump belly, his signature red Santa suit, and Santa's unmistakable fluffy white beard. He is coated in a sealant which makes him water resistant and UV resistant. 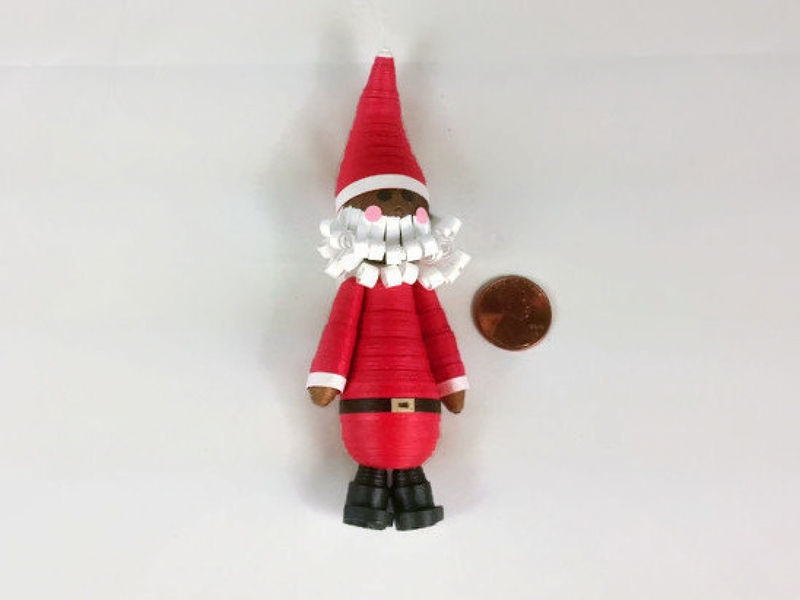 Unlike some other quilled ornaments, this Santa is fully 3D, including a round head. 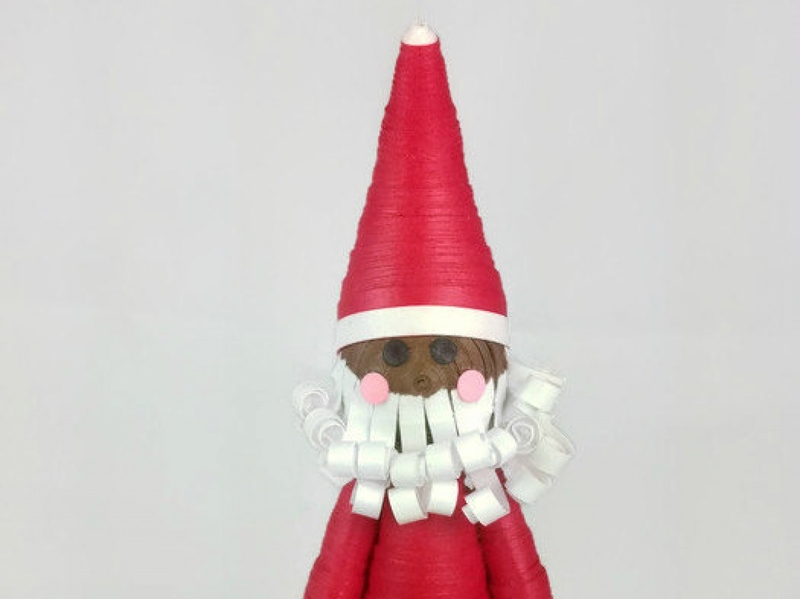 He does not have a flat head as you will find with some other 3D quilled pieces. He will look full and jolly from all angles! If you like this and prefer a different size or alternate features (brown boots instead of black, striped hat, bigger belt buckle, etc.) please message me. I will be delighted to make you a custom piece!